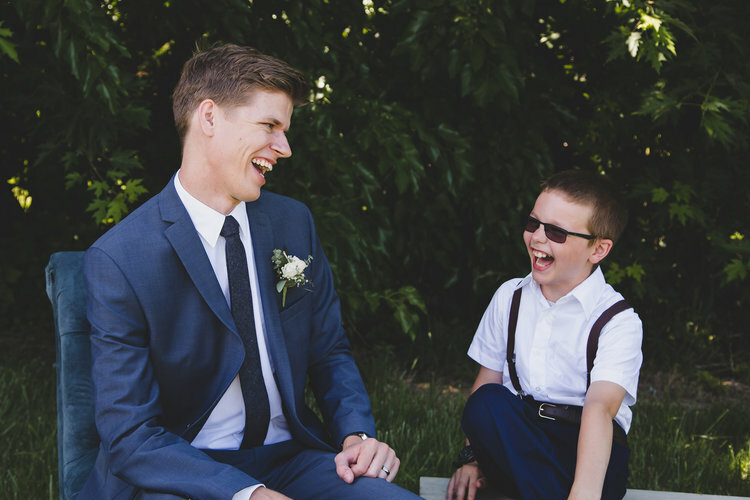 We love getting to see the little ones that you love so dearly and the role that they play in your wedding! We also know that when it comes to little ones, they are a bit of a wild card. And we have a few tips to make including these sweet little ones a breeze! BRING SNACKS! I won’t call it bribery, but I haven’t met a little kid that isn’t interested in their favorite snacks. Give the parents plenty of heads up of the picture times so they can plan naps accordingly. Keep the dresses and little suits clean by changing them RIGHT before they are needed. And then still suggest a change of clothes in case the special flower girl dress is too itchy of the suit is too hot. Don’t expect the kiddos to be there the full time for pictures. Squeeze them in at the end, or plan a brief time for them to join that suits their attention span. And have a few extra people behind the camera to jump up and down and do silly things to get their attention. Melt downs! Keep in mind that this is out of a little one’s normal routine and if they are shy, haven’t napped, or have major stranger danger, there are bound to be meltdowns. Stay flexible, and be prepared to move on to stay on schedule if the moment isn’t right for the little one. Whisper secrets, share high fives, or dance a little at the recaption. Engage the little ones for a cute candid moment if they are shy during picture time. 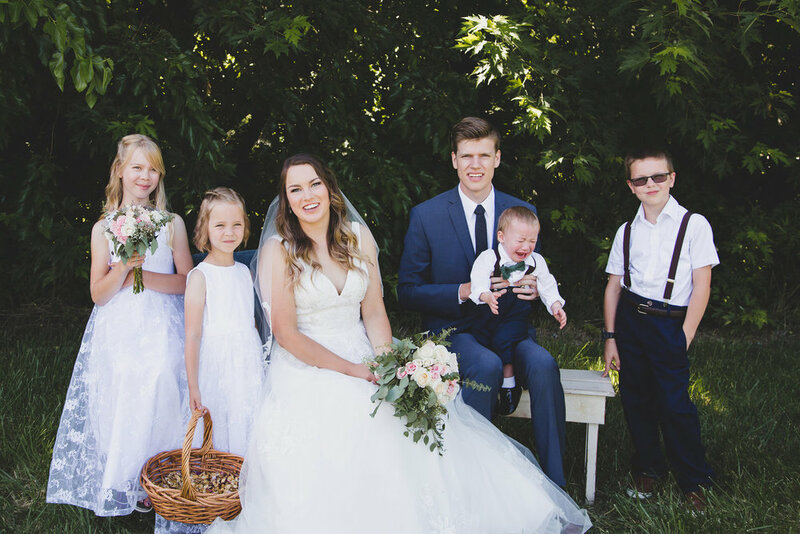 Are the little ones’ mom and dad in the wedding? 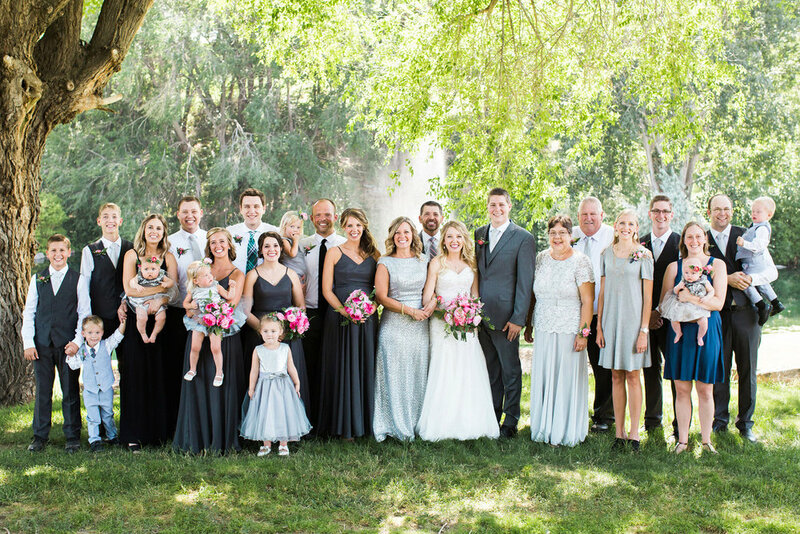 Be sure that there is a grandparent or friend that can keep the little one during photos, the ceremony, and other key points. The show must go on! You get to the ceremony (hopefully without any meltdowns) Keep the little ones distracted till it’s time to walk down the aisle. And then remember that for little ones who are shy, walking down the aisle with a bunch of strangers staring at them might bring all of the fear and tears! 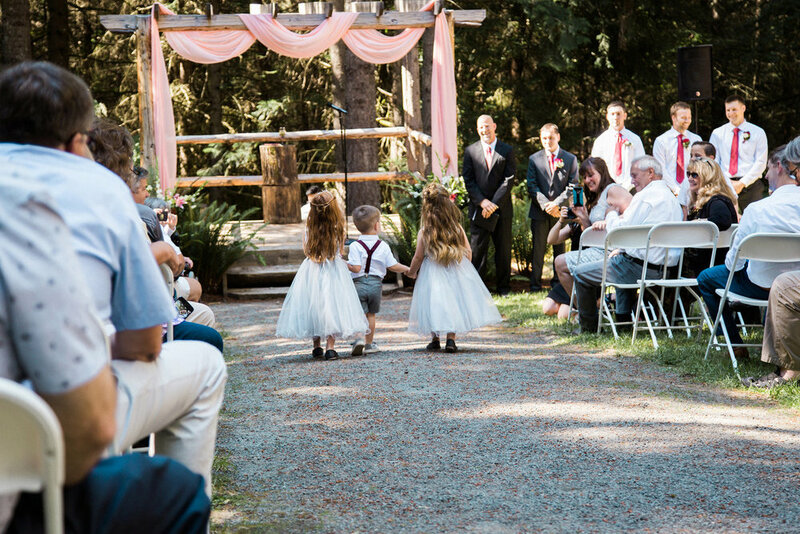 If the little ones aren’t able to make it down the aisle, keep moving with the ceremony order, after all, the ceremony is about the promises you are making.